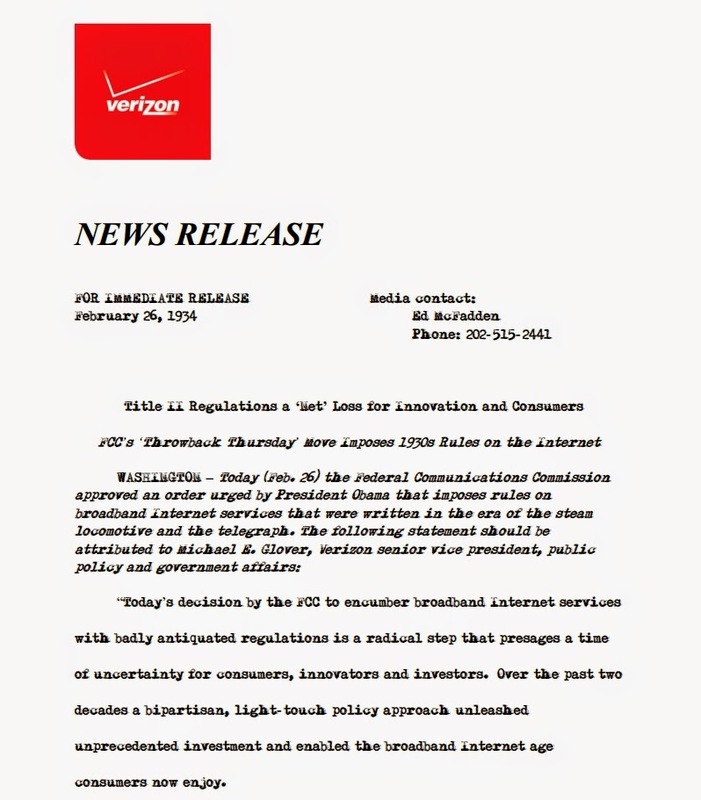 Doesn't matter what side of the Net Neutrality debate you're on (probably neither), but Verizon's response to the FCC classifying the Internet as a public utility is a gem. It's typed out in an old typewriter font and dated February 26, 1934. They couldn't quite make it 100% dated since the media contact's phone number has ten digits. That wasn't introduced until 1947. Even funnier is the original blog post, written in Morse Code, which can be found at this link.